You are here: Home / Basketball / Are the Boston Celtics so Big They’ll Fail? Following their 55-win season and trip to the Eastern Conference Finals, the Boston Celtics are 9-9, are 27th in offensive rating, and their starting point guard hates Thanksgiving. By all accounts, the team that was supposed to trot to the top of the standings in a LeBron James-less East is looking more like a replica of James’ former team, the Cleveland Cavaliers. Ok, nobody is that bad. But through the first 18 games of the season, Boston is scratching its head wondering what went sour in the span of a summer. The Celtics have reintroduced Gordon Hayward to the rotation. Jayson Tatum trained with Kobe Bryant. And the team boasts the second-best defensive rating in the league. Those are three very good things to have happened to a very good team. However, the bad is drowning out the good. Discontent is growing within an organization that is usually fueled by the near universal hatred of Boston sports. From almost letting Jamal “Who is he?” Murray score 50 points on them to Celtics’ backbone Marcus Smart calling the team “punks,” the Celtics are steeping in a self-loathing marmalade and are in need of a shift in mindset before the Philadelphia 76ers and Toronto Raptors slide closer to championship contention. At least, that’s what conventional wisdom would say. Really, successful teams are come in two flavors. The first type of team is defined by their ability to pair respect and positivity with a hard-nosed work effort. The 2011 Dallas Mavericks didn’t’ end up galloping past the Miami Heat because they too featured three of the most talented baskektball players of all time. Rather, those Mavs were a synchronized unit able to capitalize on each aspect of its rotation. From Tyson Chandlers defensive energy to JJ Barea and Jason Kidd’s crafty ways, the Mavericks found a formula that eclipsed the sheer potency of Miami’s talent pool. The same notion holds for countless other teams—the “pick a year” San Antonio Spurs, the 2004 Detroit Pistons. Of course, talent comes in to play, but what defined those teams’ success was their ability to buy into a system. The second flavor is emblematic of more recent teams like the James-led Miami Heat, Golden State Warriors or 2008 Celtics. These squads amassed basketball savants, thereby overpowering the disastrous effects of personnel dysfunction. There’s no reason why Kevin Durant can silently threaten to leave the Warriors, the team can fine and suspend its most versatile player in Draymond Green and be without the greatest shooter of all-time in Steph Curry and still be favored to win it all. Right now, the Boston Celtics are half-way between these archetypes. Kyrie Irving, Al Horford, Jayson Tatum and Gordon Hayward are more than capable of being the offensive power houses that force defenses to succumb to their sheer scoring variety. At the same time, head coach Brad Stevens gift for orchestrating defenses and sideline plays provides the Celtics with the basis for success even when one or more of these stars go missing. His leadership is why the Isaiah Thomas-led Celtics are still a team of legend. But amidst the current finger pointing and subpar effort, the Celtics are neither proving they are talented enough to overcome the dysfunction, nor are they admitting that their early offensive struggles warrant a shift back into Stevens’ system. 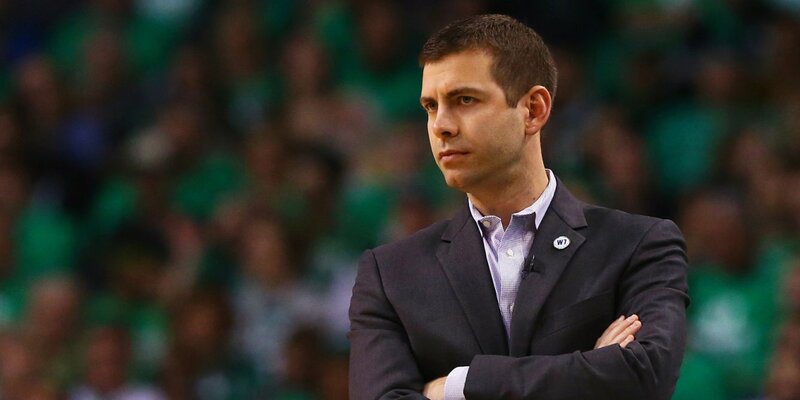 The disconnect between Boston’s potential, and Steven’s coaching style is creating a frenzy that is halting the team in its tracks. Stevens added that the groups lack of toughness is concerning, a problem he didn’t express last year when the Celtics were forced to rely on the then-unproven efforts of Terry Rozier and Tatum. Now, Boston is spoiled for choice. Everything on paper says this team should outpace its competition in the same way the Warriors or 2017-18 Rockets did, but dropping games to future lottery teams while Tatum heaves mid-range 2s or Hayward tries to regain his confidence says otherwise. Boston needs another rebuild. Only this time one that focuses on mental fortitude rather than head hunting for new talent.